The most technologically advanced ICF in North America. 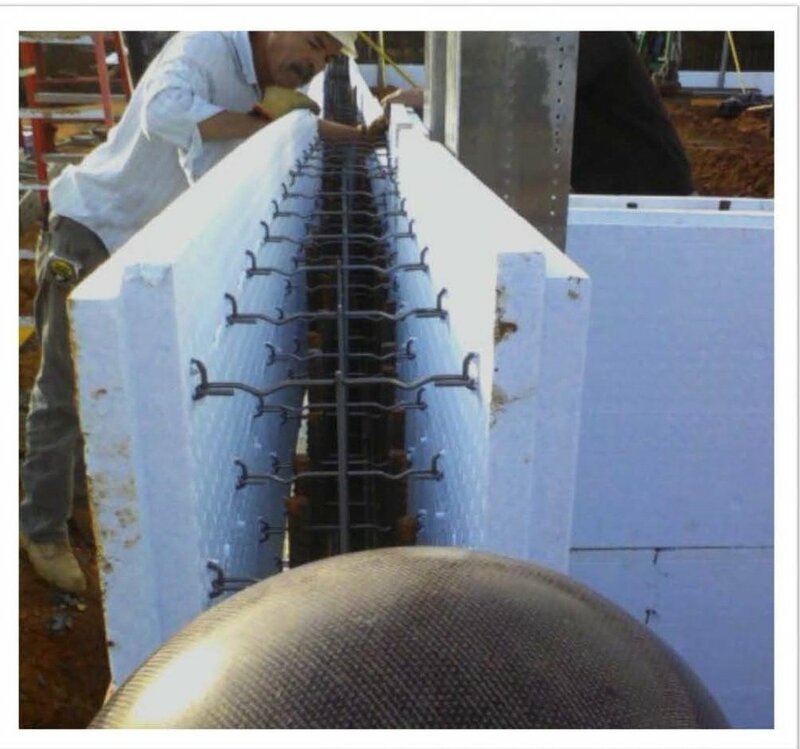 PolycreteUSA's objective is to simplify ICF construction. Polycrete Big Block's great size, great strength and XpressWall technology set the standard for ICF innovation. Check out the installation video below and call or email us to get started today. At 16 square feet per block, Polycrete Big Block dwarfs other ICFs. Three times larger than the other guys gets you a faster build. Two braces on each block means straighter walls and less movement during the pour. Hey, Big Block folds flat for easy shipping and storage, too. Steel wire mesh embedded inside the EPS panel and steel wire cross ties make Polycrete Big Block the strongest ICF anywhere. Withstands 1,600 lbs / SQFT of lateral pressure. Eliminates bulging walls, floating blocks and blow-outs. Don’t take our word for, we have the test results to prove it. Factory Pre-Cut To Your Design. XpressWall takes your plans, adds our technology and once you approve it, delivers a complete Polycrete ICF kit. All parts are numbered and labeled. Easy to understand. Simple to build. Check out the video below. No cutting required. Less complexity and fewer mistakes. Your job will go so fast you won't believe it.